Lufthansa and Air France-KLM announce they will avoid the Sinai Peninsula for security reasons after Russian airliner crashed over the area. Two of Europe's largest airlines on Saturday decided to avoid flying over the Sinai Peninsula following the crash of a Russian airliner which the Islamic State (ISIS) claimed to have downed. German carrier Lufthansa and Air France-KLM have decided to avoid the area for safety reasons, spokeswomen for the carriers said on Saturday, according to the Reuters news agency. "We took the decision to avoid the area because the situation and the reasons for the crash were not clear," a Lufthansa spokeswoman said. "We will continue to avoid the area until it is clear what caused the crash." Lufthansa has less than 10 flights a day that cross the area, she said. 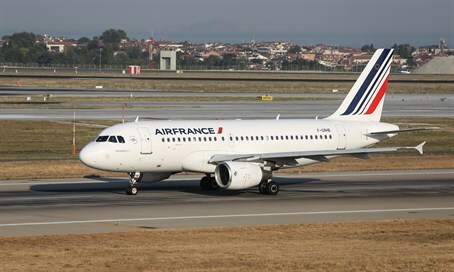 "Air France confirms it has set up, as a precaution, measures to avoid flights over the zone of Sinai," the spokeswoman for the carrier was quoted by Reuters as having said. The plane, an Airbus A-321 of the Russian company Metrojet, had left the popular tourism resort of Sharm al-Sheikh and was heading towards St. Petersburg when it went down for as-yet known reasons. However, a local jihadi ISIS-affiliate, called "Sinai Province", has claimed responsibility for the crash, announcing on social media that it had shot down the plane. Sinai Province has claimed the majority of the attacks in the Sinai since the 2013 ouster of Islamist President Mohammed Morsi, including the assassination of a top Egyptian police general and a bus bombing on a tour bus filled with South Korean tourists in the Sinai. The group has also beheaded several hostages it held, similar to the methods used by the main ISIS organization in Iraq and Syria. Russian officials, however, said on Saturday there is no evidence at this point to support the claim that Sinai Province was behind the airliner’s crash. "Such reports cannot be considered true," Russian Transport Minister Maksim Sokolov told Interfax news.